Two coded notes were found on the body of a man in 1999, and the FBI still hasn't figured out what it means. Police in St. Louis, Missouri discovered the body of Ricky McCormick on June 30, 1999. The 41-year-old was found in a field and the only clue the FBI found as to what may have caused his death were two scraps of paper found in his pants pocket. The handwritten notes are 30 lines of numbers and letters grouped into several sections by parentheses and outlines, but after 12 years of trying, the FBI has called uncle. The best cryptanalysts in the country - from the Cryptanalysis and Racketeering Records Unit of the FBI and even the American Cryptogram Association - are unable to break the code, and the agency is asking for a little help from the public. "We are really good at what we do," said Dan Olson from the FBI, "but we could use some help with this one. Breaking the code could reveal the victim's whereabouts before his death and could lead to the solution of a homicide. Not every cipher we get arrives at our door under those circumstances." 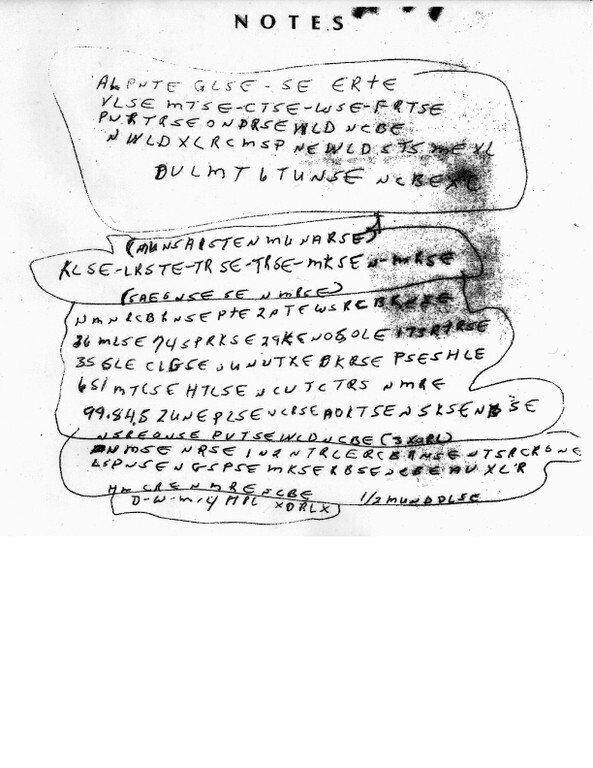 McCormick was a high school dropout, but his family says that he had experimented with codes and ciphers his whole life. The FBI believes that the notes were written not more than three days before he was killed, so deciphering them might point to circumstances of his death such as his whereabouts leading up to the murder. 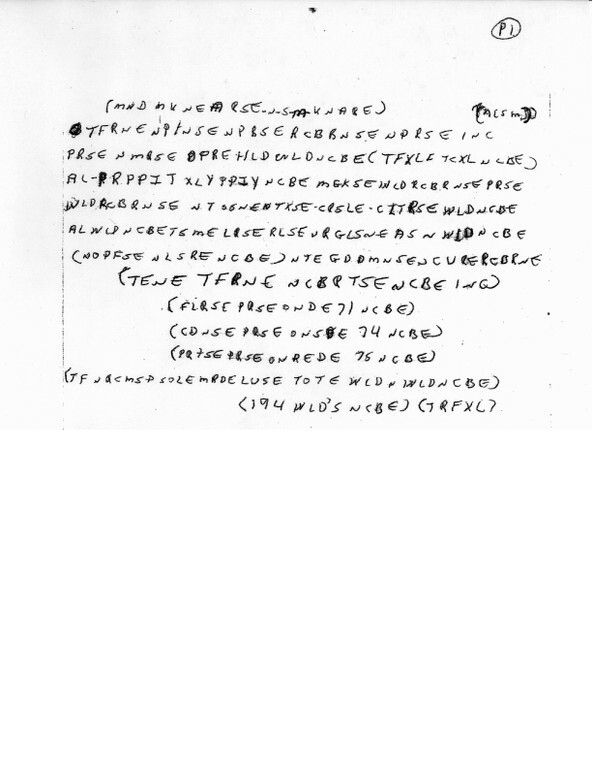 Personally, I think the notes might be a suicide note from McCormick, but the FBI is more concerned with the challenge of cracking the code. "Even if we found out that he was writing a grocery list or a love letter, we would still want to see how the code is solved. This is a cipher system we know nothing about," Olson said. It may seem strange that the best code-breakers in the country are stumped by a code that a high school dropout could devise, but solving ciphers is never a simple process. This story reminds me of the sculpture that resides at the CIA headquarters called Kryptos that holds similar lines of text. The artist, Jim Sanborn, assumed that the code would be broken within a year or two of the sculpture installation in 1990 but he's still dropping hints 20 years later so that the message is solved before he dies. And if this is just some crazy ARG designed to find the brightest codebreaker in the world and get him to Quantico to work for the FBI, well then, kudos. It's like The Last Starfighter!